The world is full of many dreamers and few doers. If you want to be a bestselling author, be one of those doers. Don’t wait for Monday, January 1st or whatever other arbitrary time you choose in your head. Your time to shine is now! As part of my series on the “5 Things You Need To Know To Write A Bestselling Book” I had the pleasure of interviewing Jaclyn DiGregorio. Jaclyn is a best-selling author, keynote speaker and entrepreneur. Jaclyn is the founder and CEO of Cusp It, a wellness brand on a mission to help women develop a high level of self-confidence, by providing them with tools to cultivate a healthy relationship with food and their bodies. 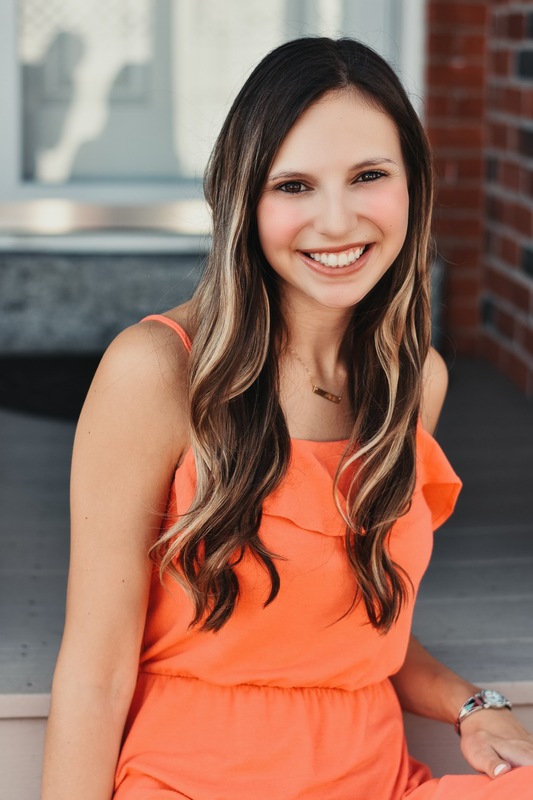 Named one of Thrive Global’s “Inspiring Young Authors,” Jaclyn has spoken at 75 college campuses across the U.S. sharing her story of eating disorder recovery and starting her own company at 21 years-old. Jaclyn inspires audiences and readers to conquer their insecurities and stop fearing failure. She is a 2017 graduate of Georgetown University’s McDonough School of Business. Learn more about Jaclyn at www.jaclyndigregorio.comand Cusp It at www.cuspit.com. I struggled with an eating disorder during my freshman year of college at Georgetown University. After overcoming my eating disorder, I realized that so many women were also struggling with body image and insecurities. I created Cusp It and published my first book to help those women who were struggling with the same things I struggled with. The most fulfilling part of my career as an author is speaking. I share my journey of recovering from an eating disorder and starting a business at 21 years-old at college campuses across the country. I talk about the hard stuff: body image, insecurities and failure. Seeing the members of the audience connect with my story and feel empowered to change their own lives brings so much meaning to my career. One time I was in line for a bar on a Friday night and a random girl who I had never met before came up to me to tell me that she loved my book. I was not expecting to meet a girl who had read my book in line for a bar on a Friday night, but I’m sure glad I did! The best thing about being a bestselling author is the opportunity it provides you with. You have an air of credibility that other authors don’t have. You are sought out to give keynote speeches and share your story with audiences across the country. And, you have an audience who can’t wait to read what you write next! Openness to failure has been the most defining characteristic in my success. My first manuscript was honestly awful. However, without that first manuscript, I wouldn’t have known how to write a book. I wouldn’t have been able to improve because I would have had nothing to improve from. Understanding that being an author is a journey and you are where you are not in spite of your failures but because of them is critical to success. I’m a huge fan of Rachel Hollis. Not only has she inspired me with her messages that my dreams aren’t big enough and success is in my own hands, but I also am very inspired by her writing style. The way she tells stories of her own life and gives actionable tips about what helped her has inspired much of my writing. The biggest challenge I faced was being a “no one” when I first started. I was a 21-year-old college student — who was I to write a book? I overcame this by fighting my best fight to prove my worth until I had developed a following that loved my work. I started out by doing a lot of free speeches as well as sending my book to bloggers and influencers to get my message out there. The biggest lesson I learned is that if you want to write a book, START TODAY. Here’s why: with each manuscript you write, your writing will get better and better. It’s like anything else in life, practice makes perfect. I’m so thankful I wrote my first book at 21 years-old because I’m now on my 3rd version of that manuscript and I couldn’t be more proud of my work. 1. Be vulnerable — in my book I talk about all of my insecurities. I talk about my struggle with an eating disorder, failure, and many embarrassing moments that are incredibly difficult to talk about, let alone write in a book for thousands of people to read. However, I’ve learned through speaking about my struggles, that the more vulnerable I am, the more people can relate to me. The more people can relate to me, the more they tell others about my book and thus, the more copies I sell and the more people I help! 2. For amazon — choose your category wisely. For most books, there are a few categories that generally “fit” and you may be wondering which to pick. First off, you get 3 categories, so don’t stress too much about this. Look at how competitive the categories are. If you can find at least one of the three categories that fits your topic and is less competitive (judge competitiveness by looking at the overall ranking of the #1 book in that category), you are much more likely to become a bestseller in that category. 3. Be yourself! Of course, most writers have other writers who inspire them. But the best writing you will ever create is simply by being yourself. It’s corny but be an original in a world of copies! 4. Start today! The world is full of many dreamers and few doers. If you want to be a bestselling author, be one of those doers. Don’t wait for Monday, January 1st or whatever other arbitrary time you choose in your head. Your time to shine is now! 5. Surround yourself with the right people. Having mentors who had written their own bestselling books was critical in my success. Also, surrounding myself with other authors who were just starting out like I was helped me overcome the tough times. Having other people who “get it” is truly immeasurable and critical to success. I’m actually working on a new version of my book right now and it has basically turned into a whole new book. I am SO EXCITED about it as it dives deep into common insecurities and how to overcome them! There are so many people who are wishing to change their lives to write that book or to start that business. If I could start a movement, I would want to encourage every single person who has a dream to make a commitment to do just one thing each day towards that dream. Little steps add up and the most important thing is just STARTING!